Your doctor's intraocular pressure measurements are "very sketchy evidence"
most human IOP measurements are “snapshot” measurements—a single reading taken periodically in a doctor’s office. Any conclusions about the nature and impact of fluctuation have therefore been largely based on very sketchy evidence. That statement, from a 2011 article by the Senior Editor of "Review of Ophthalmology," captures the motivation that lead to the creation of FitEyes six years ago and that has continued to motivate our engagement with high frequency home eye pressure monitoring (where we recommend multiple measurements per day). Read more about Your doctor's intraocular pressure measurements are "very sketchy evidence"
NOTICE: If you are engaged in self-tonometry and you have questions about your daily intraocular pressure fluctuations, you should read this comment about the difference in the way fluctuations are defined by mainstream ophthalmology and the fluctuations we observe in self-tonometry. I will further preface this article by saying that I do not believe there has been a study done where subjects with normal, healthy eyes performed self-tonometry the way we are doing it. I urge caution in comparing self-tonometry data against the data being discussed by Dr. Rick Wilson below. It is good to try to understand as much as we can. However, I believe it is not good to misinterpret your own self-tonometry data -- or to jump to incorrect conclusions based on the apples and oranges fallacy. On Wednesday, May 18, 2005, Dr. Rick Wilson a glaucoma specialist at Wills, and the glaucoma chat group discussed "Fluctuating IOP's." Moderator: Tonight's topic concerns fluctuating intraocular pressures (IOPs). In a recent chat, you said studies have shown that fluctuating IOPs are more of a risk factor than a somewhat higher, but steady IOP. Why is that? Dr. Rick Wilson: We are not sure. Several studies have shown glaucoma patients do not auto-regulate their circulation as well as patients without glaucoma. In other words, if a patient's blood pressure increases suddenly, it pushes more blood into the eye, and the added blood flow and pressure cause more aqueous to be made. A normal eye would sense the change and constrict the blood vessels to reduce the flow of the blood under higher pressure back to normal. P: Is that called "autoregulation?" Dr. Rick Wilson: Correct. 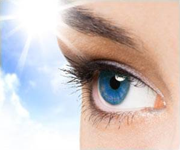 Autoregulation should take place with decreased blood flow or pressure, increased metabolic needs of the eye, etc. Clearly, a fluctuating IOP requires the eye to continually auto-regulate the blood flow to keep the optic nerve well supplied with oxygen and nutrients. That may be onerous for the glaucomatous eye. P: Isn't some amount of IOP fluctuation normal even in healthy eyes? For example, aren't pressures expected to be higher in the morning than in the later part of the day? In any case, how much of a spread in IOP is considered normal?